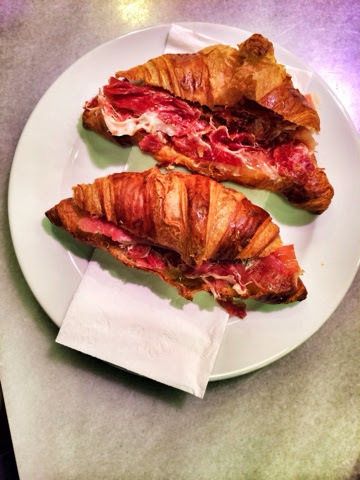 Iberico jamon in croissants or focaccia or mini baguettes for like three euros a pop? Or ham-filled cones for about the same? Right next to a row of Amsterdam's famed coffee shops? Uh, there. SO there.